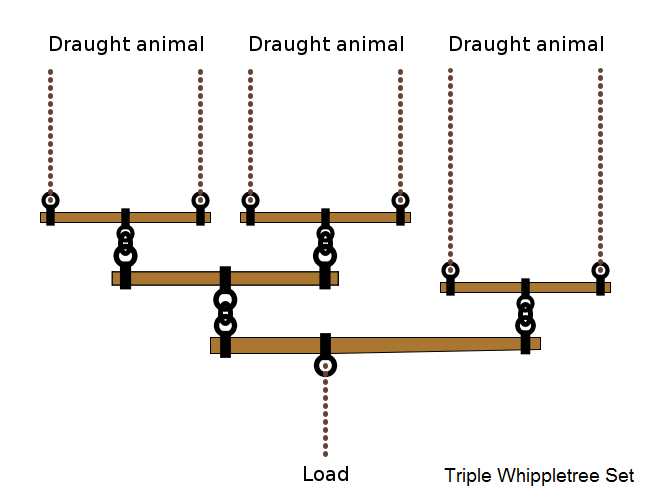 The Whippletree is a classic mechanism of cascaded beam "scales" seen in diverse places, from draft animal harnessing to Calder Mobiles. Its a way of equalizing forces by balancing tension. In traction kites one often sees pulley-bridling in this mode, with no spars needed, and the control-bar itself is a Whippletree element. Tri-tethers can be rigged into 3D whippletrees for isotropic kite arrays. These methods are dynamically similar to mechanical differentials used in AWECS transmissions. A major use in AWE is converting pumping action to rotation. Long-stroke reeling reverses reel rotation and has no inherent equalizing for constant output. Short-stroke pumping, on the other hand, is better suited for constant rotation. Short-stroke pumping converts into constant rotary motion by many methods. The simplest is a single free-wheel ratchet or sprag with an elastic return, but there is some elastic loss and considerable jerkiness requiring flywheel mass to smooth. Recently, two "double-drive" mechanisms were described, the Nordic Track exercise machine, with double sprags on a de Prony Brake* shaft, and the Double Driver screwdriver currently being promoted as a Christmas gift (who knew AWE tinkering was so popular?). We had discovered a two-bike freewheel configuration a few years ago as well. We now find in the common differential gear found in vehicle axles a COTS mechanism to do this job at high duty from small to megascale. 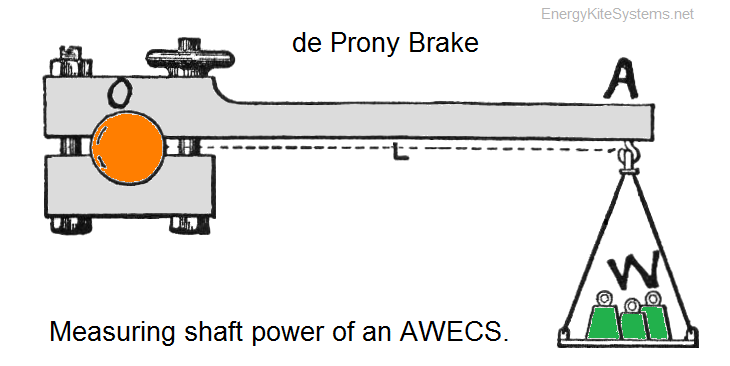 *The de Prony Brake is the cheapest and most accurate way to measure shaft power for AWECS testing.